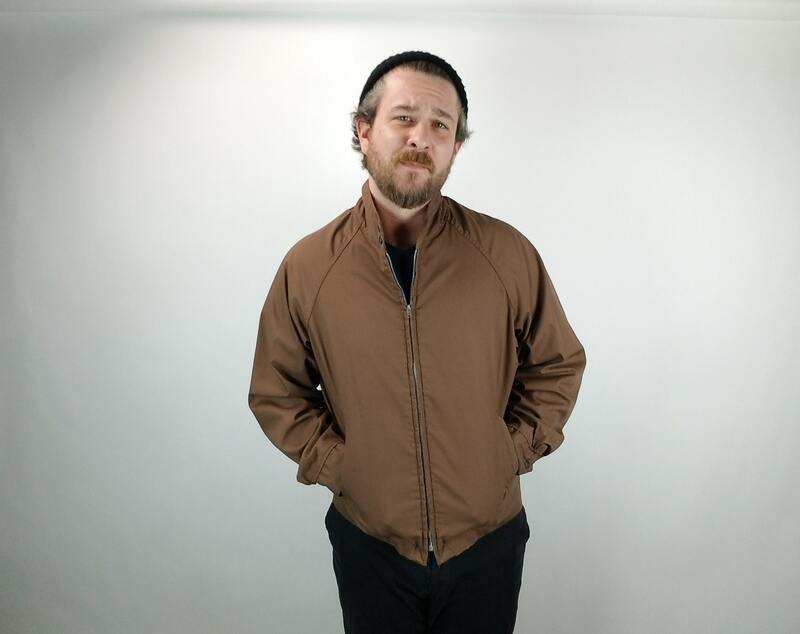 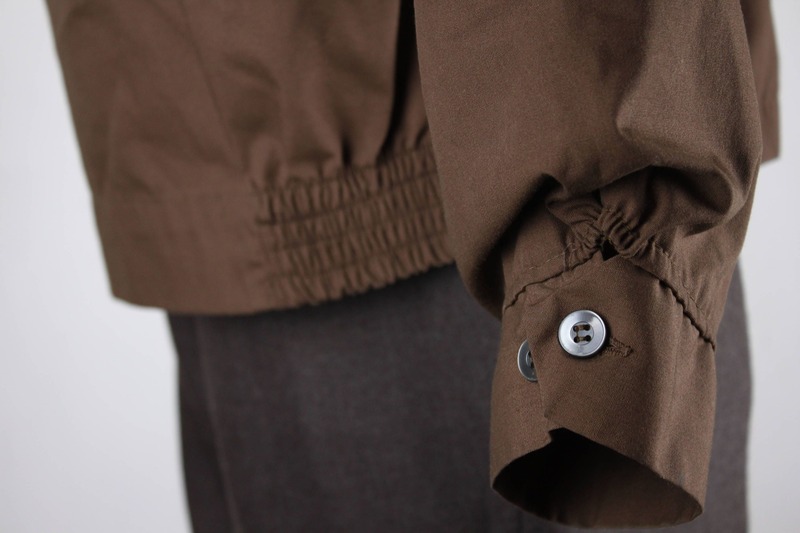 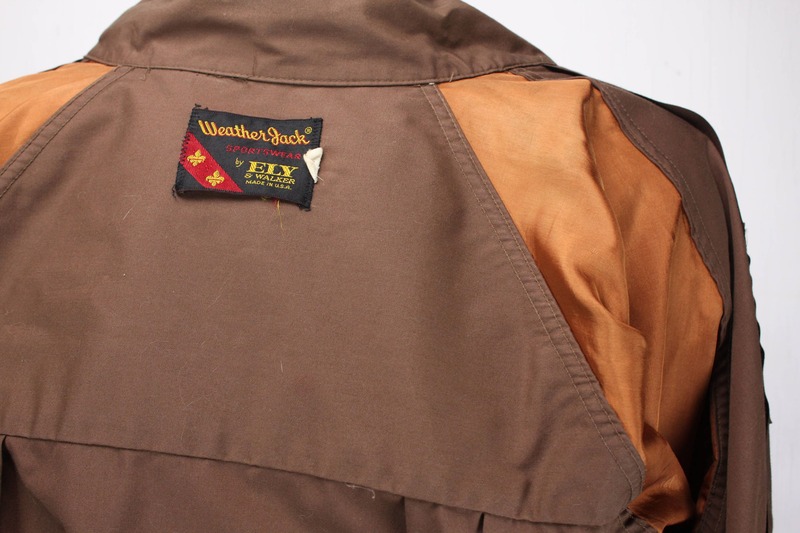 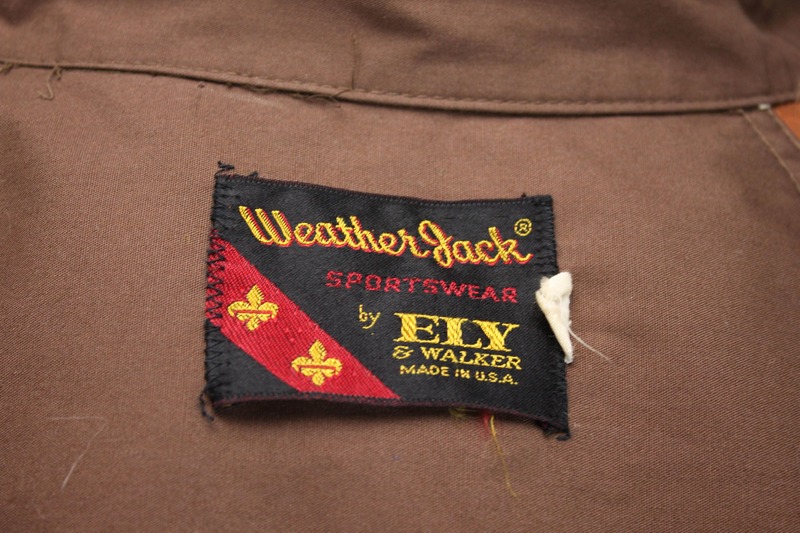 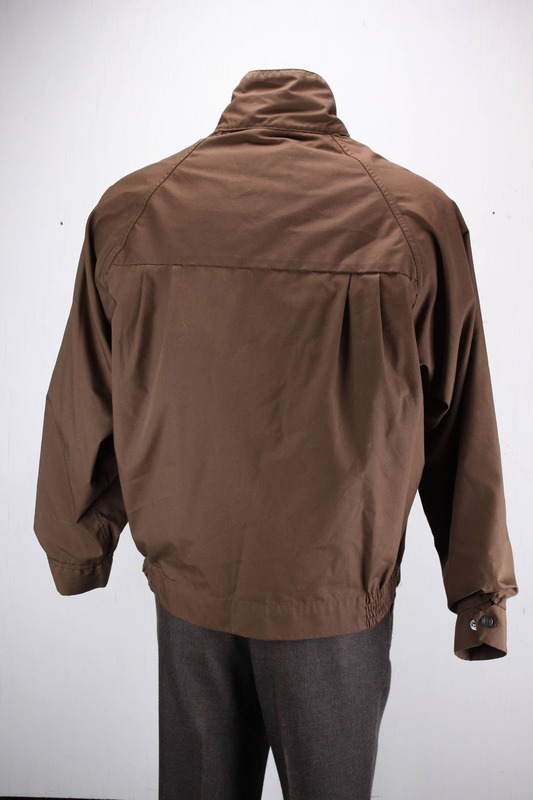 This classic "grandpa" jacket was made by Ely & Walker some time during the Mid 20th century. 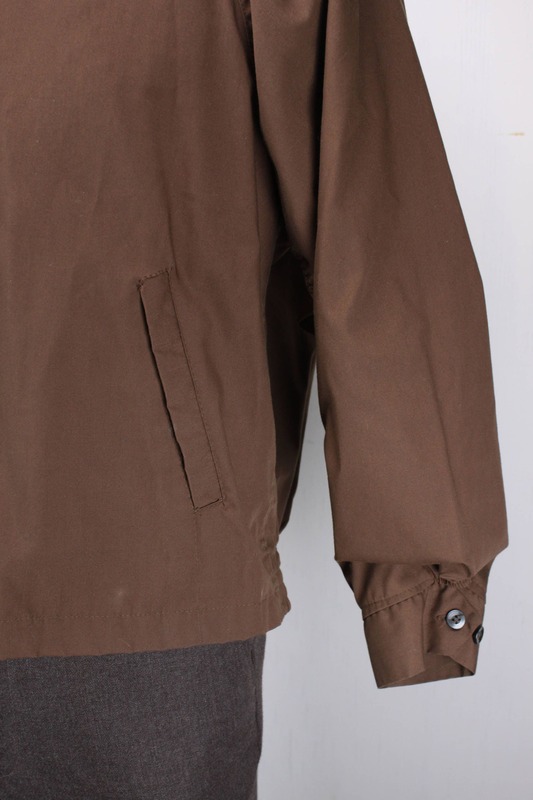 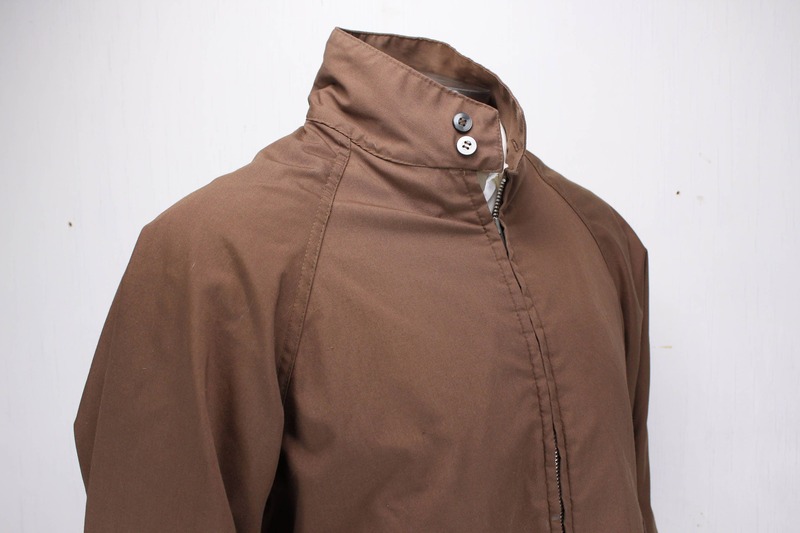 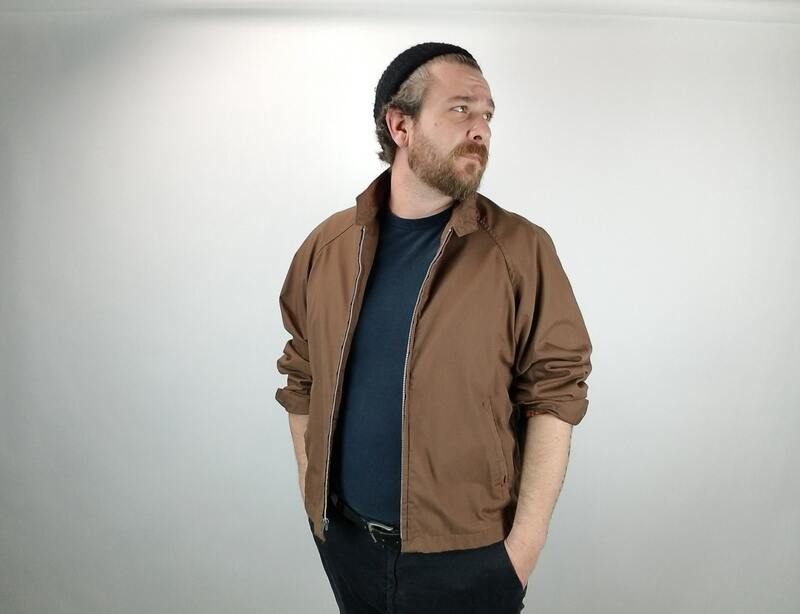 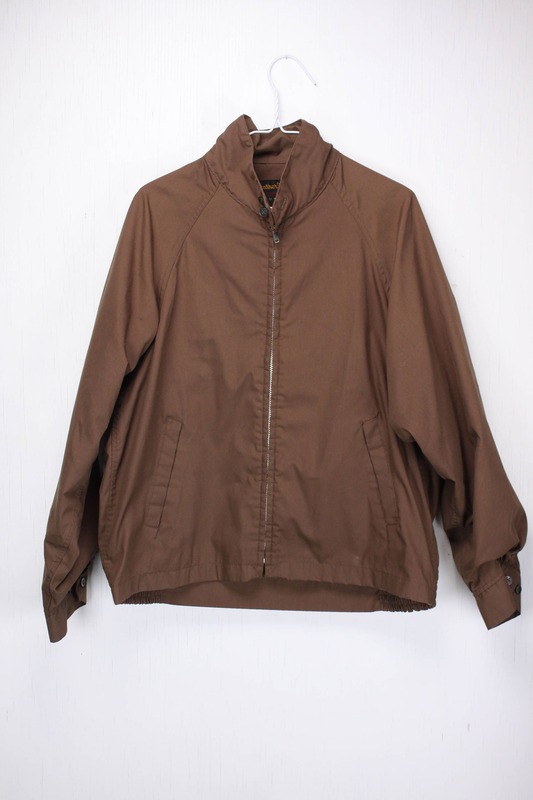 Featuring a simple style this jacket has a heavy metal zipper, welted exterior pockets, a single interior pocket and button closures on the neck and cuffs! 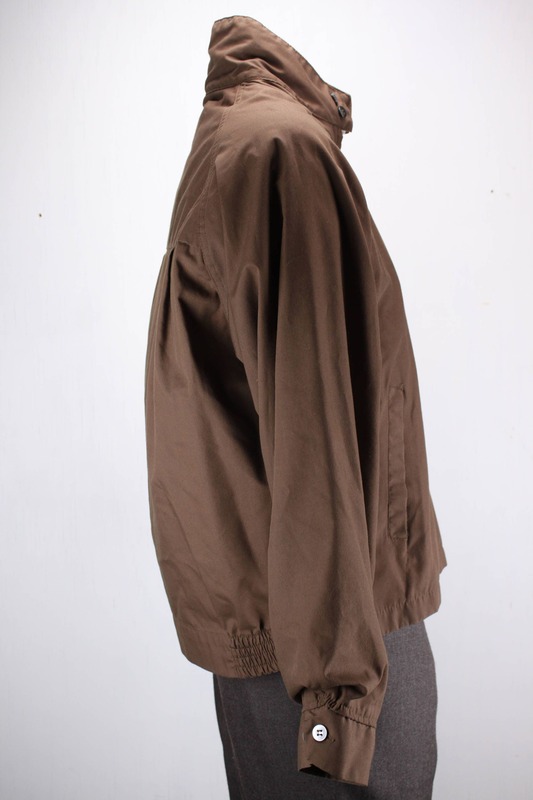 - Hip: 45 - 50"
- Underarm to hem: 12"